The National Disability Insurance Scheme, or NDIS, sets out to support patients with disabilities as well as their families and carers. The scheme, originally introduced around Australia in 2016, helps over 400,000 Australians receive individual support through the NDIS plan. The scheme aims to help those with disabilities gain access to mainstream and community services as well as to improve their support networks. It will make disability care a nationally consistent service while enabling the disabled to have more freedom in regards to1 how they receive support and give them more access to a broader range of services. The NDIS scheme is replacing the National Disability Agreement, or NDA, which was said to be fragmented and underfunded, giving people with disability little or no access to appropriate care. To qualify for the scheme and NDIS plan, a person must firstly live where the scheme is available. They must also be under the age of 65 when a request is made to join the scheme while they should also have appropriate residency to apply. If they meet these requirements they are then included on the NDIS plan which gives them access to a wider range of disability housing services than before. They can receive a number of supports including modification and design of their homes and vehicles. They may also be provided with equipment to make movement easier. Many will be provided with a carer to help them with household tasks as well as any training they need to use any new equipment. Crucially, those who are part of the NDIS plan will receive support to integrate into the community and any activities that are offered. This can be provided in the way of transport or daily personal activities that are prescribed to them. These supports are part of the schemes attempt to give more control back to the person with a disability. Implementation of the NDIS plan for everyone will cost over $21 billion by the year 2020. The Australian government will cover $11 billion of this. Funding will also come from the increase in the Medicare levy. For those who have been granted access to the scheme, they will be able to develop an NDIS plan. 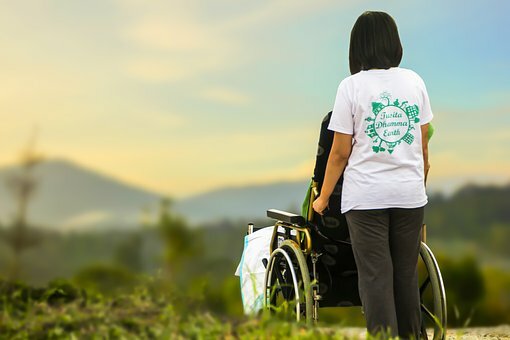 This is supposed to be the beginning of a lifelong association with the scheme, an association that will greatly improve the life of each person living with a disability. The plan aims to support the individual in the short term but also encourages them to make longer term plans and goals with the aim of achieving them in 12-18 months. The scheme organisers have been keen to stress that there are no limits to how many goals or supports a person wishes to use. Each person will be different, and it is said that this differentiation for each participant will be why the scheme ultimately succeeds. Developing the first NDIS plan for a person with a disability will be the hardest part as they may be unaware about what they can and cannot include. It is important that each participant does some research into possible inclusions and looks to implement this in their individualised scheme. Participants should be aware of the funded supports available to them, as well as how they can manage these supports and the providers involved. They also need to know how they can arrange support with each provider in order to get the ball rolling. There is plenty of information on the official NDIS website which will help each participant through the initial decision-making process. However, after this is done, the hard part is over, and the rewards of the scheme will begin to show.